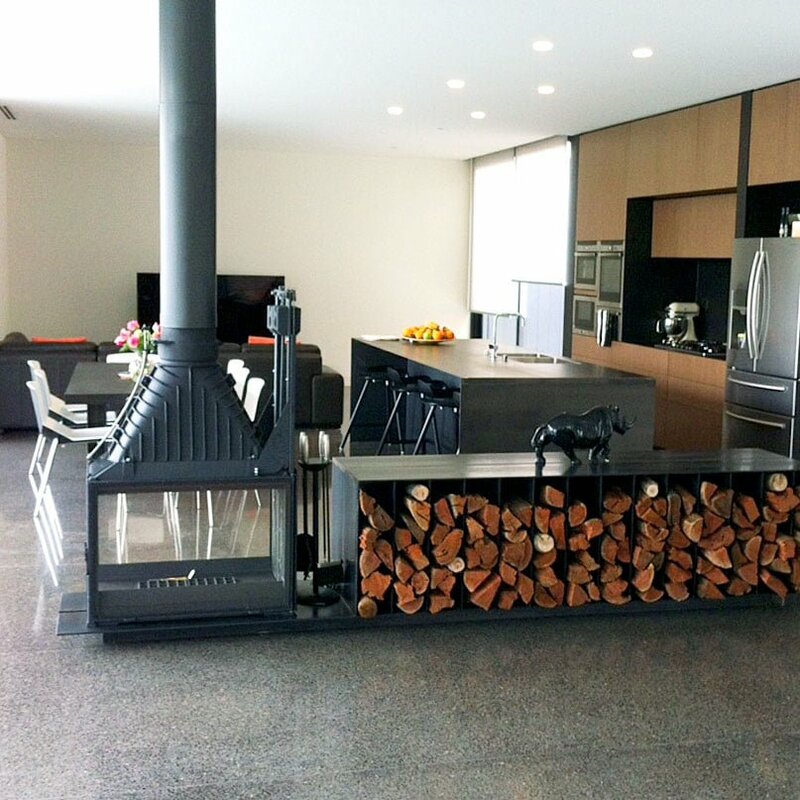 A lot of thought and planning goes into designing a modern hearth for a new home. The desire for large, open planned living and dining spaces, often necessitates creative zoning that also flows. This cleverly designed plinth storage unit delineates between the different uses of the room whilst still maintaining an open feel. 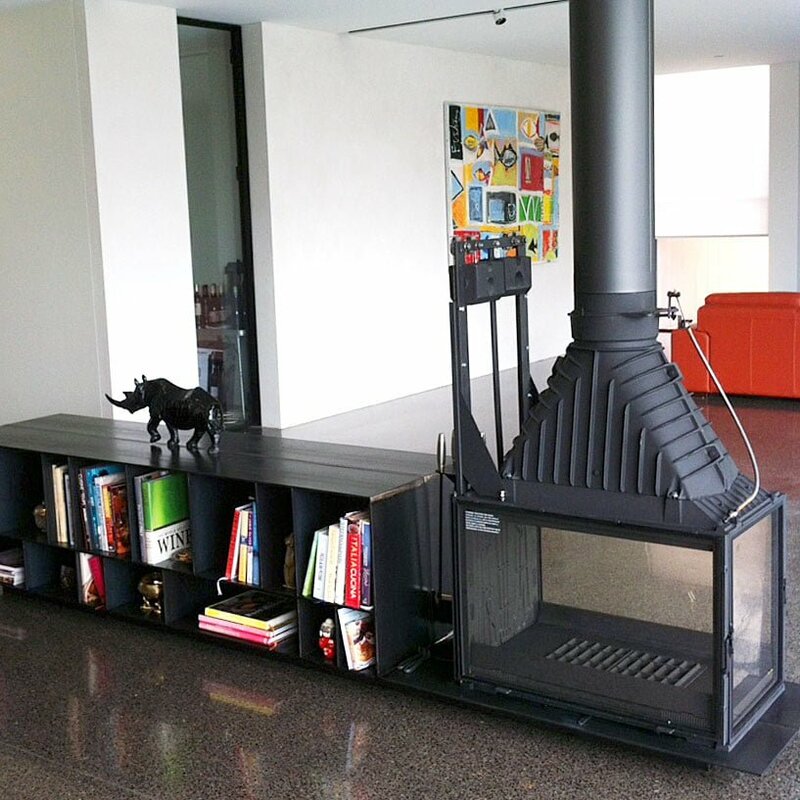 With storage in mind, this unique, custom made, metal stand integrates the cast iron Radiante 846 2V fireplace and back to back large storage boxes for practical timber storage one side and favourite books on the other side. “We’re really happy with our new Cheminees Philippe fireplace and the help and service we received from the Wignells team.